Dukes Manor. 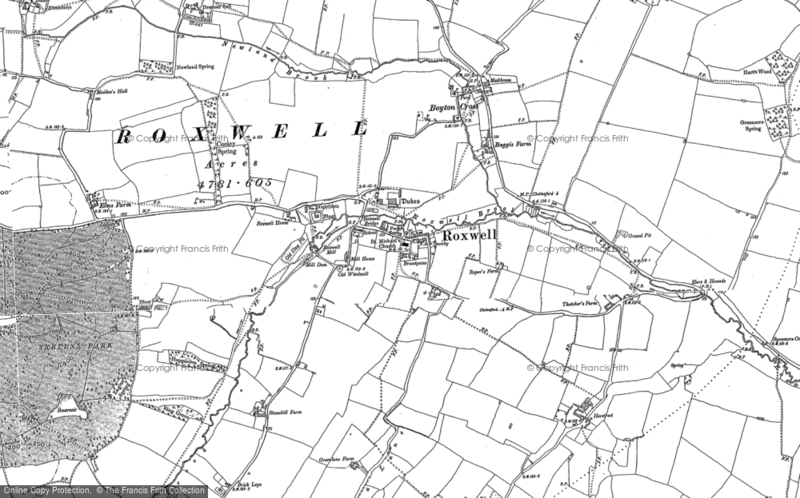 Roxwell - a Memory of Roxwell. My family moved to Roxwell in 1970 from Westland Green, Little Hadham, Herts into the Manor House, known as Dukes Manor. The house was the former farmhouse for the Foreman family, but Lance Foreman preferred to live in Lightfoots, a house directly across the meadow. The Foremans were also well known for growing Willow trees, very useful in the making of quality cricket bats. Our family lived in the Manor House until the death of my mother, Sheila Lyon, in 1995. Significant changes were made to the house during our period of occupation but most specifically the kitchen which was enlarged and modernised in the 1980's. At this time, we uncovered old oak beams, and what was once a window in the original Manor House, which is now incorporated into the first floor main shower room. Renovation of the top floor of the house was essential and at it's peak the building had 8 bedrooms. My bedroom was in the top front gable overlooking the cricket ground where I played for many happy years, (sadly relocated to a less picturesque spot), and I could see teams arriving to play village cricket. The team once made the Regional Final of the Haig Village Cricket Competition, losing to Horndon on the Hill. We had two gardeners at the time, one named Perce and the other Charlie Jones, who was also the local Umpire at the Cricket Club. Both wore flat caps and when they came in for morning tea, Perce would doff his cap and the change in colour of his skin always amazed me; the weathered look didn't extend above the eybrows! The Manor House was in existence at the time of the Civil War, and was occupied by the Crush family. Apparently, so the local story goes, Cromwell's troops were billeted here and as a result Thomas Arthur Crush was forced to renovate in 1665. A plaster motif in the Hall details the date and his initials, TAC. Since my mother died, I have lived in Sydney, Australia, but have over the years have driven back to the village to reflect. The new owners have made some excellent changes. The Village Scout Hall was named after Douglas Lyon. A memory shared by Simon Lyon on Nov 29th, 2012. Send Simon Lyon a message. Add a memory of Roxwell.